Peyton Manning and Tom Brady will face each other for the 16th time this weekend. 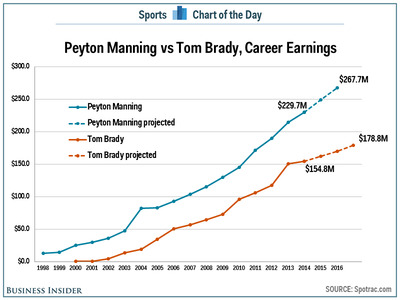 But there is one area where Manning has already won, career earnings. By the end of this season, Manning will have made $US229.7 million in his career and is the highest-paid player in NFL history. 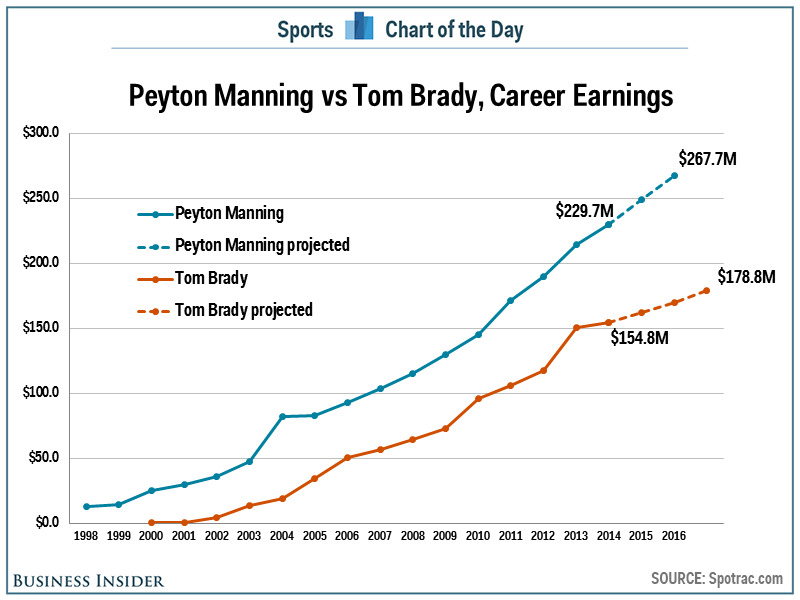 If he completes the final two years of his contract as is, Manning’s earnings will grow to $US267.7 million. Meanwhile, Brady is the second-highest-paid player of all time according to Spotrac.com, but he is still $US75.0 million behind Manning who has played two more years and came out of college as a top draft pick. Brady still has three years left on his deal and if he completes that contract, his earnings will grow to $US178.8 million.